Despite a moderately successful box-office turnout (worldwide) and earning generally positive marks from the critic community, Prometheus quickly earned and has further developed a reputation since its release for being, at best, a lackluster return to science-fiction for Ridley Scott. The visuals and tone might've been representative of the Blade Runner and Alien director, but the film's exploration of the origins of mankind produced overambitious world-building, odd lapses in scientific logic, and, put bluntly, some rather idiotic decisions made by the characters. The coupling of Prometheus -- both the experience in making it and the divisive fan response -- and the Academy Award-nominated efforts he poured into The Martian have sparked in Scott a rejuvenated passion for the genre, which has led to Alien: Covenant: a point-blank, overt return to the realm of the xenomorphs. Unfortunately, the criticisms that sparked debate over Prometheus return in greater, less disputable force in this sequel, resulting in a stably-crafted, sporadically tense, yet knuckleheaded sci-fi horror hybrid. Scott was amazingly coy -- both in his craftsmanship and during promotions -- with how he attached Prometheus to the overarching universe created by the classic ‘70s film, culminating in a suggestive twist ending reaffirming that, yes, these events chart a course leading to the creation of the xenomorphs. Both in tone and in detail, Alien: Covenant obviously doesn't try to be so reserved in its association with either the original Alien or Prometheus, closing the gap between the two films in its tale of the Covenant, an interstellar colonization mission headed for the planet Origae-6 with thousands of colonists and embryos onboard, overseen by synthetic crewman Walter (Michael Fassbender). After an accident awakens the crew from their cryosleep, a rogue frequency points them -- tentatively led by Captain Oram (Billy Crudup), with terraforming expert Daniels (Katherine Waterston) as his second-in-command -- to a potentially habitable planet within the proximity of their accidental wakeup location. Once they land on the planet, a surprisingly fertile yet ominous landscape, they soon learn that they're not alone. 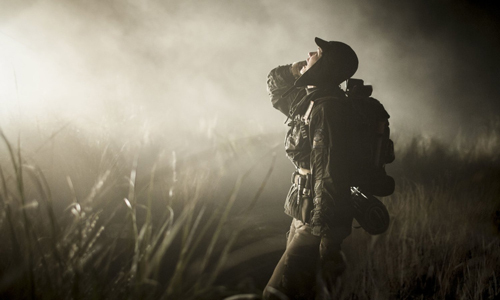 There's significantly more explosive blockbuster-style drama involved, but the structure of Covenant's story isn't far-removed from that of the original Alien, hinged on an unplanned wakeup of cryosleeping crew, the hierarchy of leadership, and the pursuit of a "diversion" destination away from their goal. Scott clearly wants to invite old-school fans of the franchise into familiar territory, and he does so both through the design of John Logan and Dante Harper's script as well as the visual tempo aboard the Covenant, including more "dated"-looking technology and claustrophobic corridors throughout the ship. Bear in mind, though, that all this begins after a flashback prologue features Guy Pearce's Weyland having a soulful chat with Michael Fassbender's David about the nature of creators and their creations, immediately recalling that character's fascination with the origin of the universe from Prometheus, as well as the themes of artificial intelligence roughly touched upon in that film. Scott aims for this to be the point of fusion between those films, and he does so in the space of familiar trappings. Whether familiarity is a good thing for the buildup in Alien: Covenant is a more complicated subject, a potentially contentious and subjective one that delves into the nature of what should make up a "real" installment in this franchise. Once the crew of the Covenant reaches their new destination planet, Scott delves into his current fascination with imaginative science-fiction hinged on the pursuit of answers to questions of existence and origin, depicting the crew's navigation of this newly-discovered planet with a deep focus on the eeriness surrounding their discoveries. Sublimely textured cinematography through the lens of Dariusz Wolski scours over the beauty in their location's habitable yet disquieting surroundings, which only grow more mysterious once they explore the remnants of civilization left on the planet, tapping into the same sort of existential investigation that kept Prometheus moving forward. The claustrophobic geography typically found aboard ships and within buildings in the other Alien films isn't a key feature, though, as Scott gives the ruins and forests plenty of room to breathe and hide secrets. 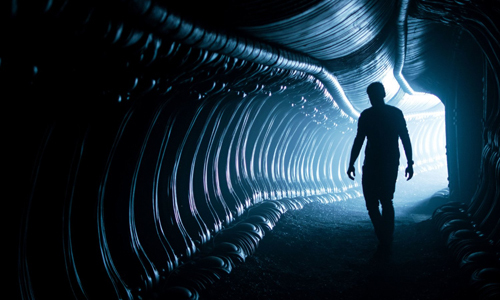 Alien: Covenant attempts to also find a middle ground with the capabilities of the crew members, in hopes of avoiding some of the headscratcher moments in Prometheus … y'know, where biologists willingly provoke alien beings and seem surprised at the response. As colonists and explorers hoping to establish a hospitable colony and who possess emotional ties with one another, they're allotted a little more leeway in potentially making harebrained decisions for the sake of their mission, while also possessing about the same degree of combat experience as the mining crew aboard the Nostromo; these aren't necessarily specialist scientists or marines. Even taking that into consideration, however, some monumentally foolish, unaware decisions once again plague one of Scott's films, except the ones made in Covenant have a more profound impact on the story's trajectory and seem less arguable than those from Prometheus. Naturally, the more substantial and well-drawn characters sidestep these issues, especially Katherine Waterston's impressive riff on a Ripley-esque character in Daniels and Danny McBride's idiosyncratic yet credible southern pilot, Tennessee. It's the others that unthinkingly kick up trouble and bring it home, where it doesn't belong. Eventually, these elements converge and explode in Alien: Covenant, and the signature H.R. Giger-inspired beasts of yore wreak havoc on the colonists, though not exactly in their immediately recognizable form. Spastic, violent computer-generated effects bring intentionally revamped iterations of these creatures to digital life, and the moments of their attacks provide the kind of blood-curdling displays of gore one would expect from an entry in this series, full of unnerving tearing, blood spraying, bodily dismemberments … and those familiar sounds. Thing is, Ridley Scott attempts to evenly balance the rush of horror with a current of science-fiction musings hinged on genetic experimentation and the mechanics of artificial intelligence, to which Michael Fassbender once again turns in a nuanced, multifaceted performance from the perspective of an AI's complex responses. The viscera might fly and the screams might be clearly heard, but the shifts in focus between the monster attacks and the planet's attachment to what we know of Prometheus disrupts the principal tension of the horror. 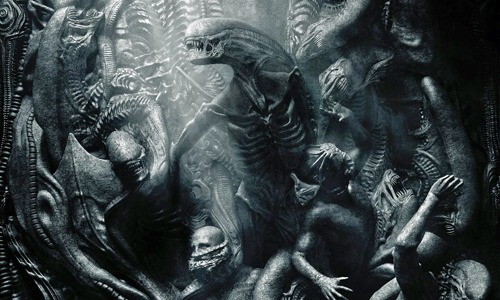 Alien: Covenant really doesn't want to be just another xenomorph bloodbath, either, and Ridley Scott ensure that doesn't happen through the film's revelations about the origins of that snarling, dripping monster that commanded the screen nearly forty years back from its release. The eternal struggle over whether histories and backstories should even be revealed comes into play, as Scott displays not even a sliver of timidity toward deconstructing the alien species' mystique, exposing where they come from and, rather specifically, why they were created in the first place. Was any of this necessary to appreciate the Alien universe? Not really. Covenant works desperately hard to recapture the magic of the original pair of films -- Scott's and James Cameron's Aliens -- but it also stubbornly explores new territory in how this prequel communicates with the other films and explains its lore. Scott gets to that destination with tense atmosphere and visual allure, but the expedition is a rocky and questionable one that, based on its curious answers to unasked questions, should've rescinded some of its priorities.